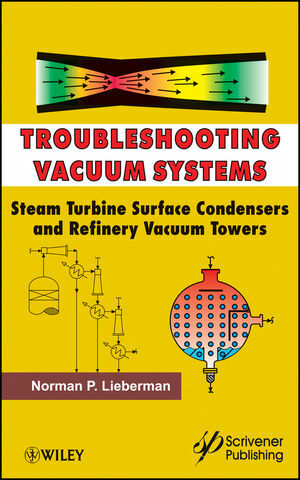 Norm Lieberman is one of the most well-known and respected process engineers in history. With over 47 years of experience and eight often-quoted and often-used books to his credit, he has left and continues to leave a lasting impression on the energy industry. His contribution to the industry is considerable, and troubleshooting vacuum systems is the single biggest part of his business. With a writing style that is unique to technical books, he brings a no-nonsense and practical approach to his subjects.